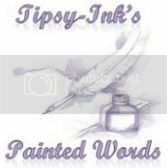 Tiffany M. Oharriz is a klutz of a girl that lives in Miami, FL and goes by the nickname Tipsy. I've been reading and writing since childhood, sometimes unnintentionally annoying those around me with my ability to become so immersed in a book, whether it be one of my own or another author's masterpiece, that I ignore the world around me. I'm currently working on a series of YA supernatural books titled ‘The Birth Curse Series’ and a chick-lit novel titled 'Knock Me Off My Choos'. Check the WIP tab for more info on my current projects! "Keep your heads held high and your hearts to the sky"
You guys definitely deserve this!